by Frederick E. Knowles, III, M.D. William Rush Dunton, Jr., M.D. was a vigorous and active psychiatrist in our community several generations ago. During his productive career, he published books, papers, and was a founding member of three professional societies. He spent his professional life in Baltimore, and died in December 1966, at the age of ninety-eight. 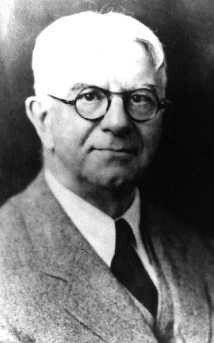 Born in Philadelphia in 1868, Dunton was the nephew of Benjamin Rush, M.D., father of American Psychiatry. After receiving undergraduate and masters level training at Haverford College, Dunton graduated from medical school at the University of Pennsylvania in 1893. As a young physician he then came to Johns Hopkins, were he learned the method of asepsis. He became acquainted there with Dr. Henry Mills Hurd, the Hopkins’ first superintendent. Dr. Hurd encouraged Dunton to write his first medical paper. He helped to form a society of occupational therapists, which in 1917 became the National Society for the Promotion of Occupational Therapy. This group is now called the American Occupational Therapy Association. He was the author of two respected textbooks on Occupational Therapy. The first of these books, "Reconstruction Therapy", published in 1919 by W. B. Saunders, Co., was regarded in its day as a classic reference book. The other textbook was "Prescribing Occupational Therapy," published in 1928 by Charles C. Thomas, Co. He was among the founding group of the Maryland Psychiatric Society, and served as its first secretary, beginning with the inaugural meeting of the Society which was held at Sheppard Pratt on November 6, 1908. He was a charter member of the Baltimore County Medical Association which was begun in 1896. He edited the Maryland Psychiatric Quarterly and wrote one of its regular columns, called “Occupations and Amusements,” in which he talked about his occupational therapy ideas. He also assisted in editing the American Journal of Psychiatry for many years. 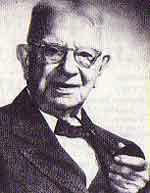 In 1922, he became editor of the Archives of Occupational Therapy, today known as Occupational Therapy and Rehabilitation. Throughout Dunton’s life occupational therapy was one of his major interests. He encouraged his patients to pursue quilt-making, and he became an avid quilt maker himself. In his obituary, published in the December 23, 1966, Baltimore Sun, he was said to have taken up quilt-making in 1915. He felt that the bright colors were pleasing to patients, and that the cutting and sewing helped to take their minds off their inner problems. Dr. Dunton’s passion for quilts was such that he organized three shows at the Baltimore Museum of Art. He made photographs of hundreds of quilts, and also wrote a book about them. A man of great energy and many interests, he was also the drummer in the doctors’ orchestra of the Maryland Medical and Chirurgical Faculty. Continental Quilting Congress, Arlington, Virginia. Dr. William Rush Dunton, Jr.’s interest in writing and research began at an early age. He and a cousin published a magazine for one year and Dunton published a recipe book at the age of 14. It was a natural for him to write a book on quilts from the Baltimore region where he lived. "Old Quilts" was self-published in 1946 and caused him a loss of $3,000. The book today is a collector’s item and can be found priced in the range of $300 to $400. He became a collector of quilts and quilt patterns, specializing in those from the Baltimore area. His request for quilts for an exhibit brought forth fifty quilts and launched him into further study and the creation of three more exhibits. In 1916 he exhibited six quilts made by Honoree Marie Webster. He corresponded with Webster and Honoree Lenice Bacon. In fact he reported that his interest in quilts was sparked by Webster’s book, "Quilts: Their Story and How To Make Them." Dunton’s interests covered a wide range, including writing poetry and playing music. As a Maryland psychiatrist, he pioneered the development of occupational therapy. Part of his collection of quilts and papers is in the Baltimore Museum of Art, in Maryland. The Baltimore Appliqué Society donated funds to the museum for the archival preservation of this extensive collection, much to the benefit of researchers. These articles, and the linked PDF formatted books, are republished here for educational purposes. Text and images carry the copyright of their respective creators. This page may be freely linked but not duplicated in any fashion.